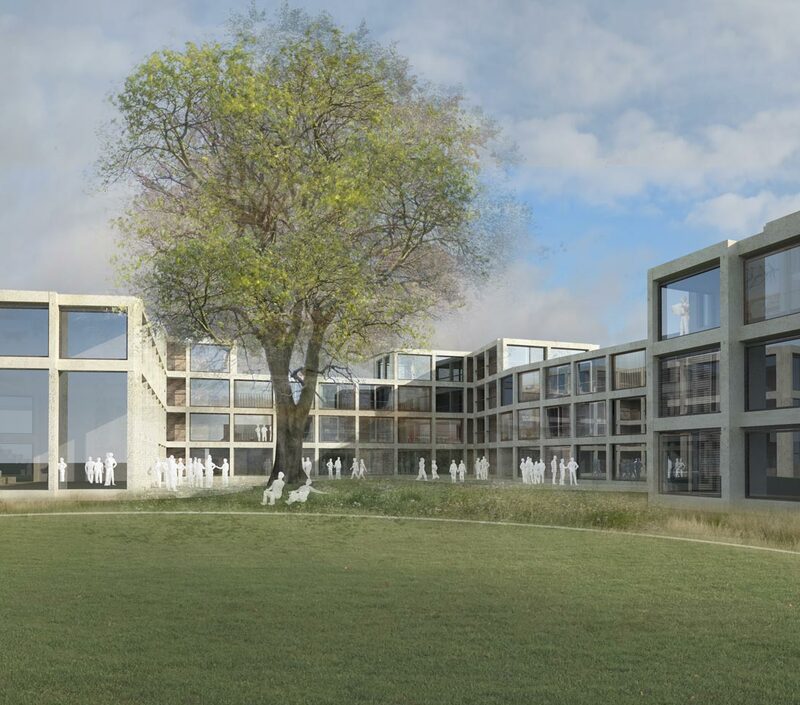 Invited competition entry for 260 new undergraduate and graduate rooms for Balliol College, located on a site around an existing cricket field at the edge of the medieval centre of Oxford, a short distance away from the main historic college location. 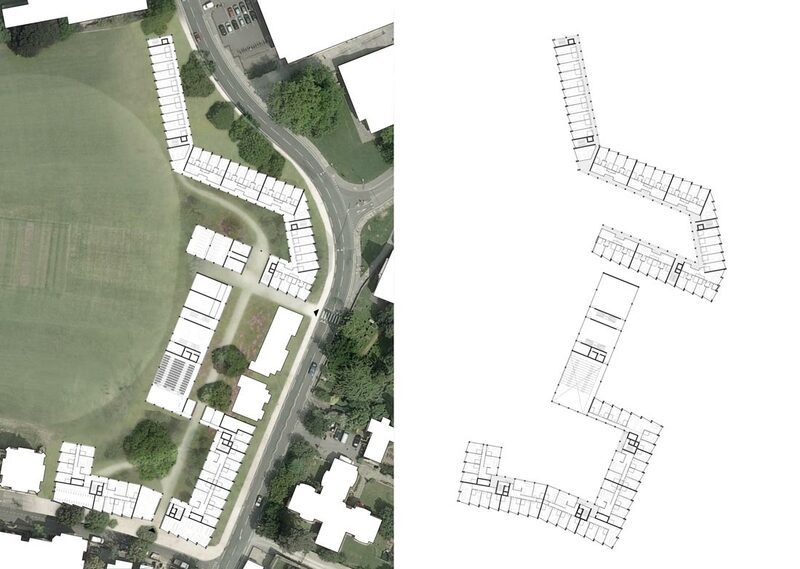 The programme also included a lecture theatre, sports pavilion, and nursery as well as the provision of family accommodation – combined with the retention of specific houses, some nearby existing college buildings, and a complex phasing sequence. 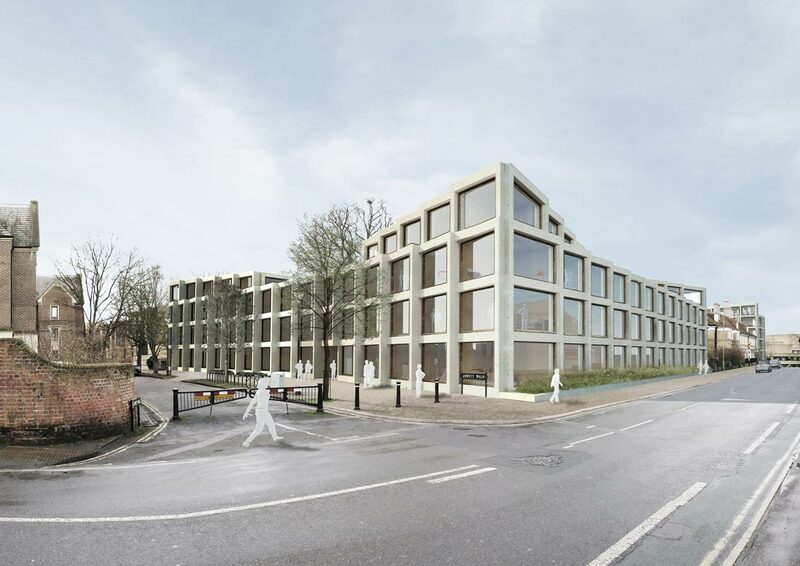 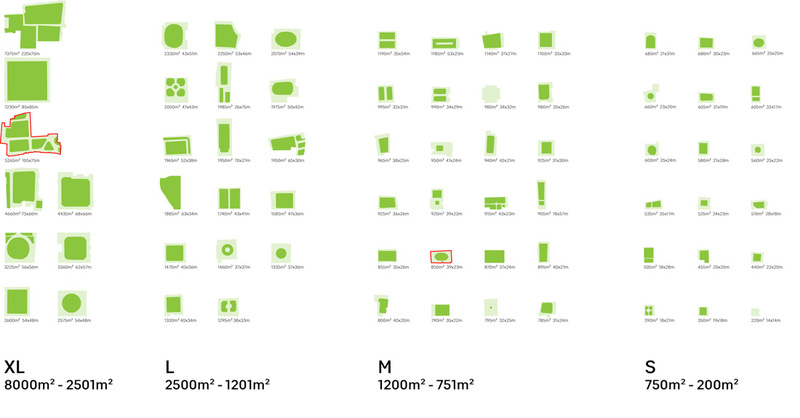 The proposal is based around a sequence of three new quads, with sizes carefully calibrated based on detailed research of the scale of existing quads in Oxford colleges. 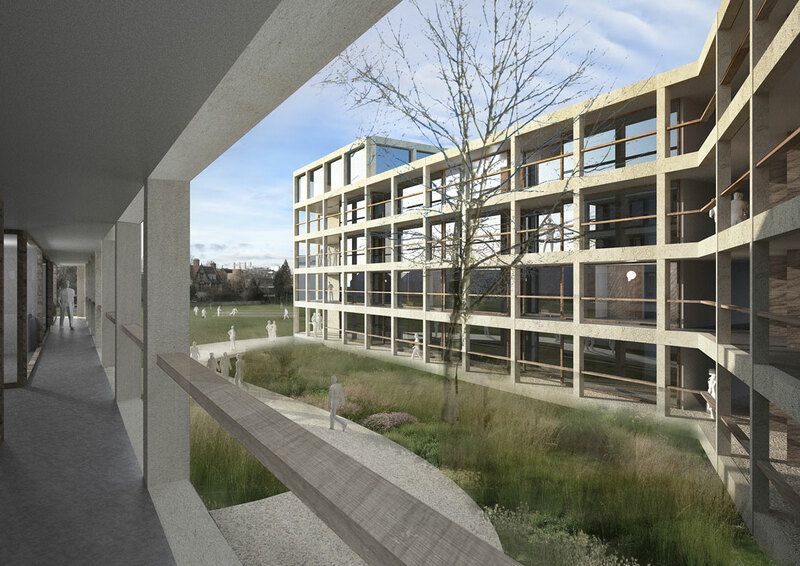 Undergraduates, Graduates and Lecture Theatre uses are located around each quad, with open sides to face onto the expanse of the cricket field. 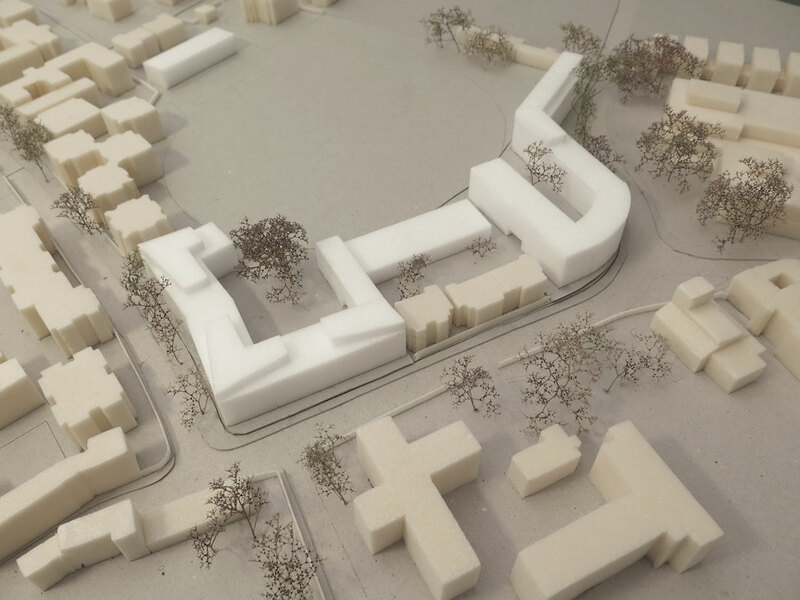 The buildings were arranged to provide a much-needed clarity to the street frontages, with controlled entry points from street to semi-private quads. 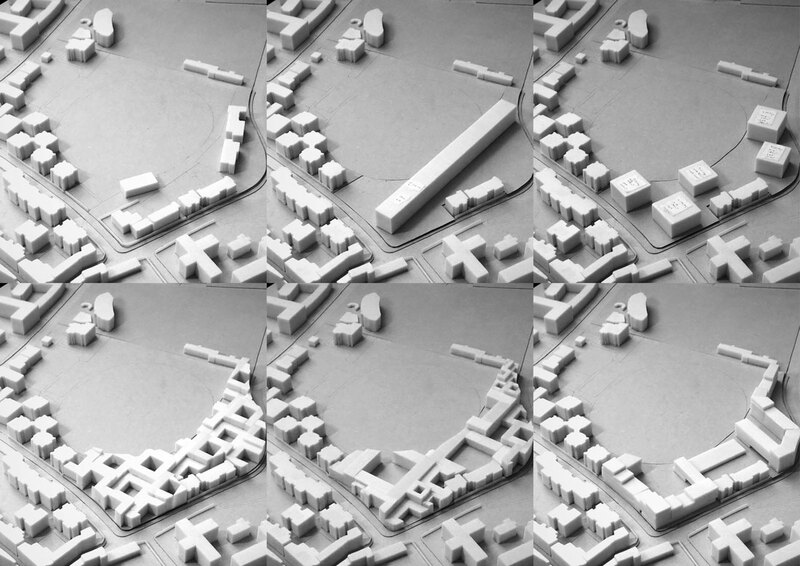 In arranging the rooms, the proposal included innovative clustering of bedrooms around shared common spaces to encourage social mixing of students and replicate valued patterns of second and third-year undergraduate shared accommodation, whilst working efficiently to minimise numbers of circulation cores. 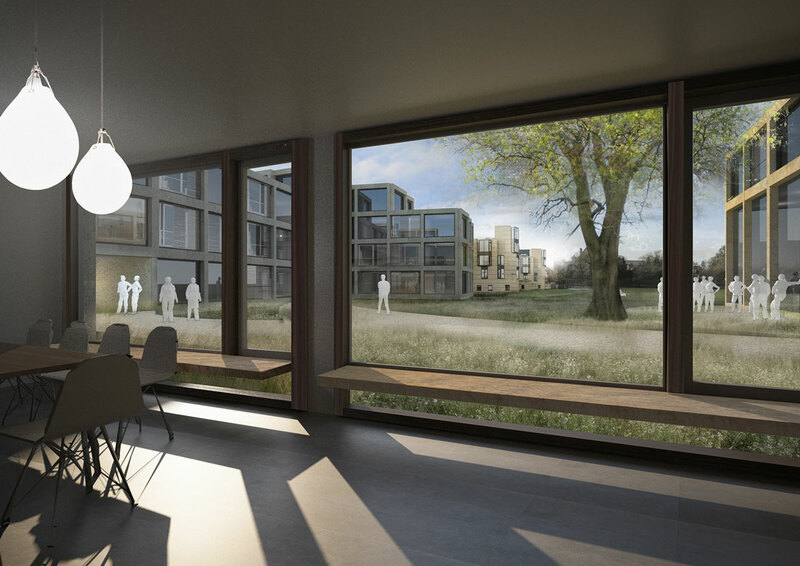 For graduate students deck-access circulation facing into a shared quad encourages chance encounters and socialising, with a greater degree of privacy in shared units and a greater proportion of studio flats.